I saw this tag over on several different blogs, especially the lovely Destiny @ Howling Libraries, and I thought why not join in on the fun? I think anything above 10 is a little excessive, but like everything else in life there are always exceptions. If the story is really good, and doesn’t feel like it’s dragging I wouldn’t mind it going on and on and on for forever. I have a love/hate relationship with cliffhangers. If I have the next book next to me then I am okay will cliffhangers and am all for them. However, if I have to wait for the next book to come out, like with what happened with ACOMAF, then we have some serious issues. Cliff likes to play with my emotions and I just tend to not be okay with that. I love both, but I tend to lean more towards hardbacks over paperbacks just because they are more sturdy. 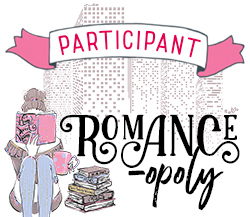 However, I tend to prefer to have my contemporary romances to be paperback, just because a lot of them usually are published paperback first and I like to keep my books organized by genres. Honestly, who thought this was a great idea to put in? I can’t decide, so I’m pleading the 5th as a shake my head. Least favorite book…probably my AP geometry textbook from 10th grade. We don’t talk about such traumatizing moments. 6. Love Triangles: yes or no? Reasonable Doubt Vol. 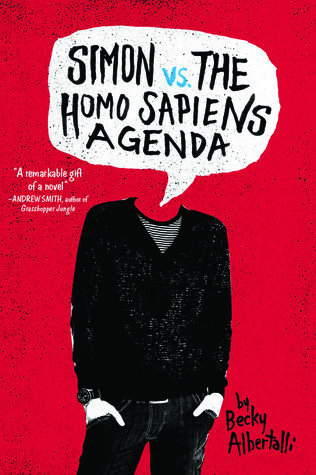 1. by Whitney G. The premise was super great and intriguing but once I started reading the book, it was all downhill and horrible. 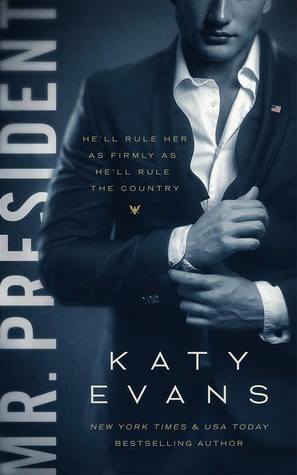 Mr. President by Katy Evans to my best friend. 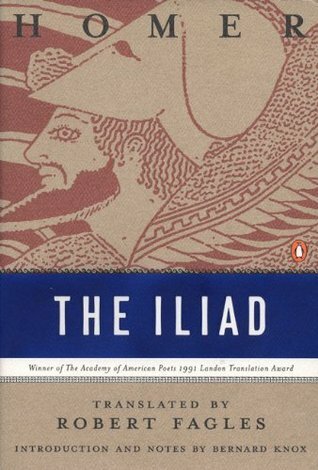 Iliad by Homer if the Bible doesn’t count. I think that is the oldest book I have read. I have so many! I really can’t just pick one, so here is my current tops: Becky Albertalli, Angie Thomas, Sarah J. Maas, Mariana Zapata, John Green, Adam Silvera, and Tomi Adeyemi! If I can I always try to buy books, because its supports my favorite authors. However, sometimes I am unable to do that, so I always borrow from my local library, which I love dearly! So both? The Percy Jackson series. I just could never get into it. Maybe I’ll change my mind if I give it another chance, but I struggled to get through the second book in the series. I just couldn’t. 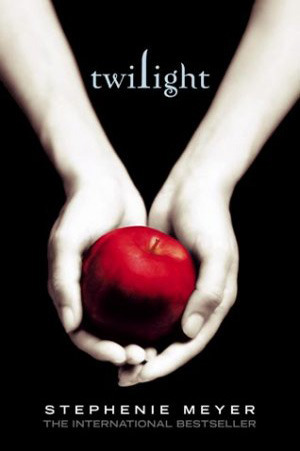 The Twilight Saga By Stephanie Meyer. 17. Can you read whilst listening to music? Yes! I love to listen to music while reading, especially if the song matches the tone of the scene I am currently reading at that moment! For me it just enhances the story and brings it to a whole other level. I prefer one POV, but like I have said before, if handled well, I don’t mind multiple POVs. I love to binge a book in one sitting! 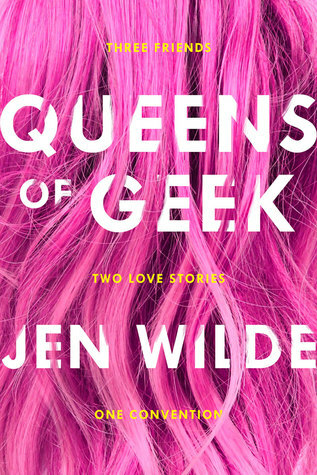 Queens of Geek by Jen Wilde! 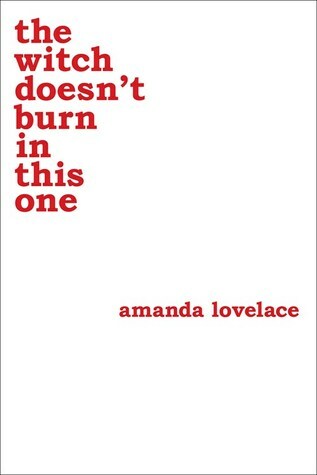 Just look at the cover, it is so pink and so catching! It literally just draws you in. If you want to do this tag, consider yourself officially tagged! The GIF for #6 killed me. 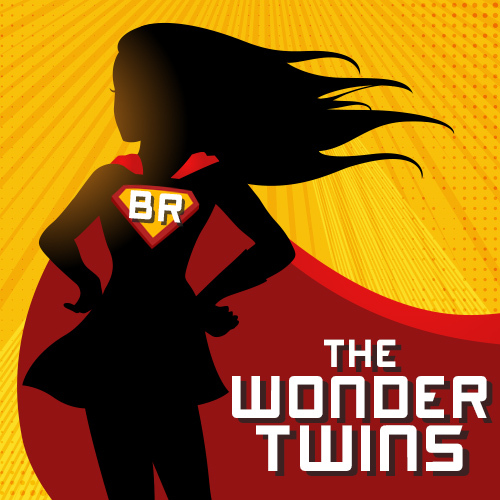 I miss that show so much, and the spin-off didn’t quite do it for me. FEE-HEE-HEE-HEENAY!